Want some real truth? I regularly snoop Anzula head honcho Sabrina's social media. My life is so locked into routine between the kids, the day job, the husband, and ugh, the laundry, and I don't get out much. Like, ever. It has been three and a half years since my list trip to the beach. But you know who gets out? Sabrina. You know who has been on a whirlwind yarn adventure that is taking her from LA the way up to Alameda County? Sabrina. A lot of my time is spent living vicariously through her days. That said, stalking is only creepy if you keep it to yourself, right? Right. That's my story anyway. Here are some of my favorite photos of her life on the road. January 19: "I don't know when the Grapevine was last this green." That afternoon she was at A Major Knitwork in Van Nuys for the first show. Because who needs rest? January 21: "Have you heard of a flat white? So yum, and starting the morning off right before our show at Twist Knits" At Two Guns Espresso in Manhattan Beach. January 21: I love this photo—booking March tour dates while soaking up the sun at Manhattan Beach. Even when she's relaxing she's still working. I only have two modes: on and asleep. So impressed. January 22: "We just got a fresh shipment of spinning fiber in!" at Alamitos Bay Yarn Company. January 23: the tour took Sabrina to Yarn del Sol. She was exhausted by the end of the day but she was still "Knitting #WandaEstelle in Cole. I'd like to keep knitting, but it is sleepy time." January 24: before the trunk show at Common Threads, first a serene escape to Succulent Cafe in Oceanside. January 24: "Last few shows, there have been large crowd right at set up. I feel so guilty that we can't get the trunks looking proper, but between customer service and pretty, customer service comes first." at Common Threads in Encinitas. January 26, after a day of rest and before heading to Yarning for You: "Good morning! Every time I wake up and look out this window, I can't help but think this palm frond looks like eye lashes. Am I peeping out a giraffe's eye?" January 27: "Truffle maple bacon fries. Better than so many things in life." at Umami Burger in Santa Monica. January 27: "Hello Santa Monica!" at Wildfiber. January 28: "Here's to enjoying moments. I'm going to have to do some road life office work shortly, then we have our trunk show at @anacapafineyarns, then a 4 hour and forty minute drive to Santa Cruz. But this moment, this moment is mine and I'm going to enjoy every bit of it." January 29: "I don't even remember the last 3 hours." Said like a true rockstar. Yarn rockstar. At The Swift Stitch in Santa Cruz. January 30: A quick stop at Knitting by the Sea to make a delivery! Because, Carmel. There's no way you don't stop in Carmel. January 30: This one makes me especially jealous. Pacific Grove is one of my favorite places on Earth. January 30: And here she is at Monarch Knits. I love this shop. And I love that shawl. So basically my jealously is running high right now. Today, January 31st, the tour takes her to another shop that I love, Green Planet Yarn in San Jose. I can't wait to see what she's up to next. Don't worry. There are at least six more stops in February, so I'll be sure to share what she's been up to. And if you live in California's Bay Area try and make it to one of the upcoming Anzula Takeover dates!! Are they coming to your town? 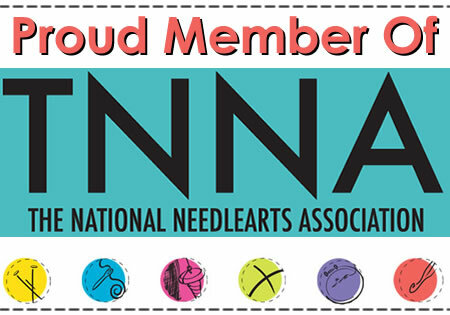 They will be stopping at lots of their favorite yarn shops across the country on their way to TNNA in Columbus, Ohio, and bringing knits, yarns, and patterns for three hour trunk shows. If they are coming through your city make sure to visit them at your LYS - like you need an excuse! As you know, Sabrina and Logan are on the road bringing yarn and fiber across the country for much of the year. What you may not know is that they also bring a lot of patterns with them as well, so you can cast on your new treasures immediately! This year alone, the pair have sold at least 86 different pattern titles. The top ten most popular patterns so far this year? The trunk show madness is over for April, but look to May 13th when you can see Sabrina and Logan in Reno at Jimmy Beans Wool to kick off the cross-country journey to Columbus Ohio for Summer TNNA!